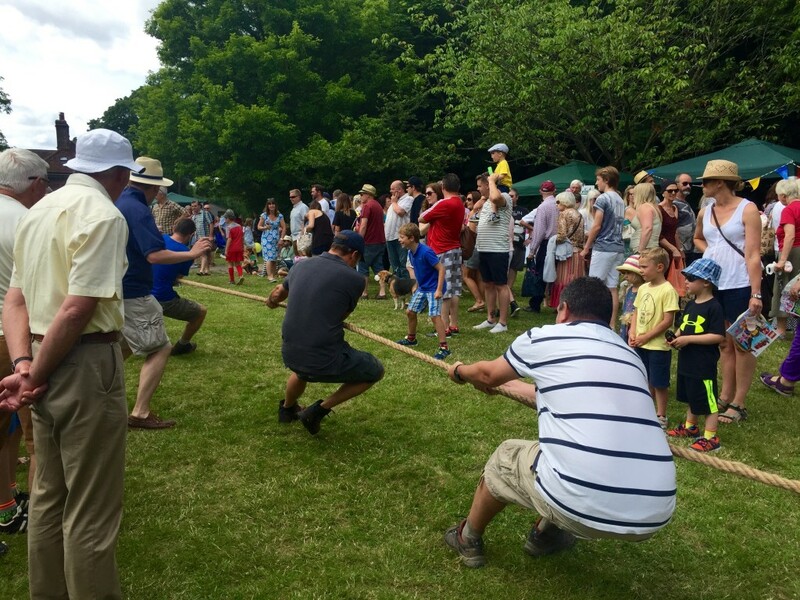 I might be showing my age here, but is there anything better than a village fete on a warm and sunny summer’s day? OK, maybe there is. 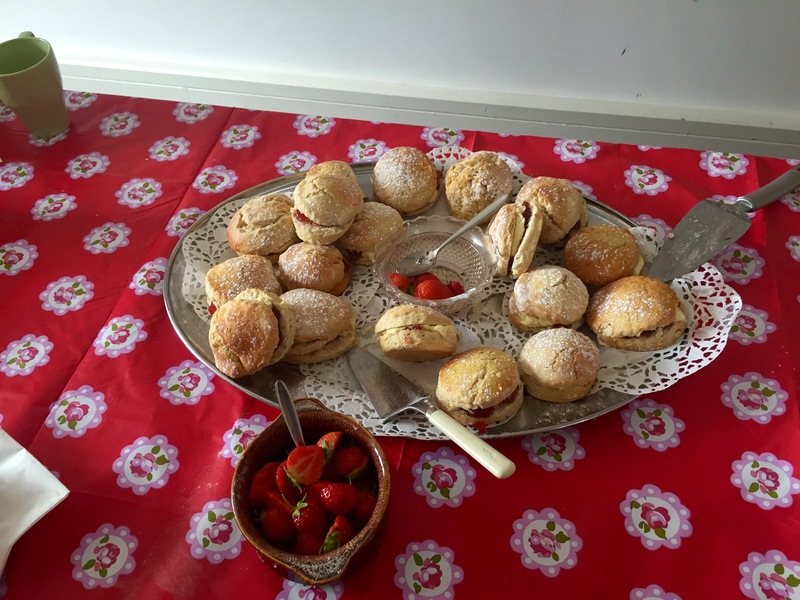 But there aren’t many other places where you get to drink tea and beer in the same sitting, bowl for a pig, watch a tug of war tournament (which used to be an Olympic sport don’t you know), get your face painted and eat endless cakes and scones. 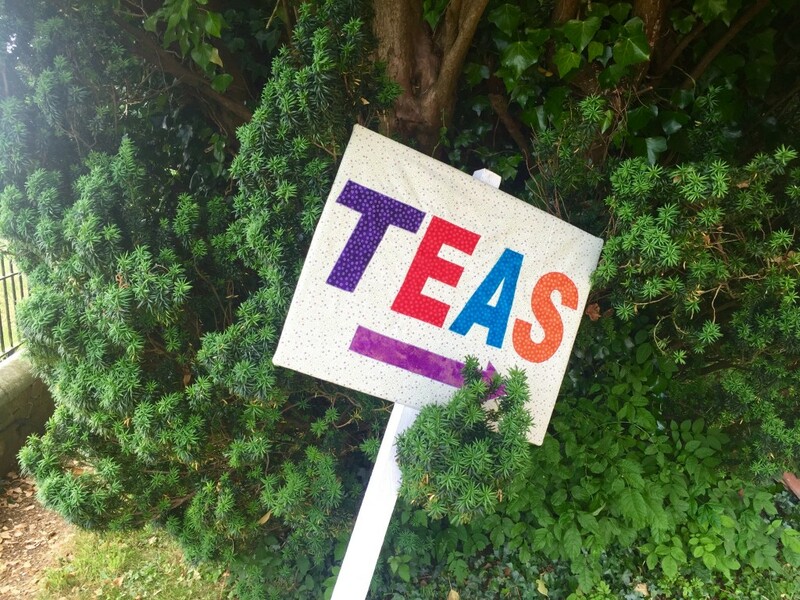 Because we live on the edge of the city, there are plenty of nearby village fetes and country fairs to choose from when warmer weather comes round. 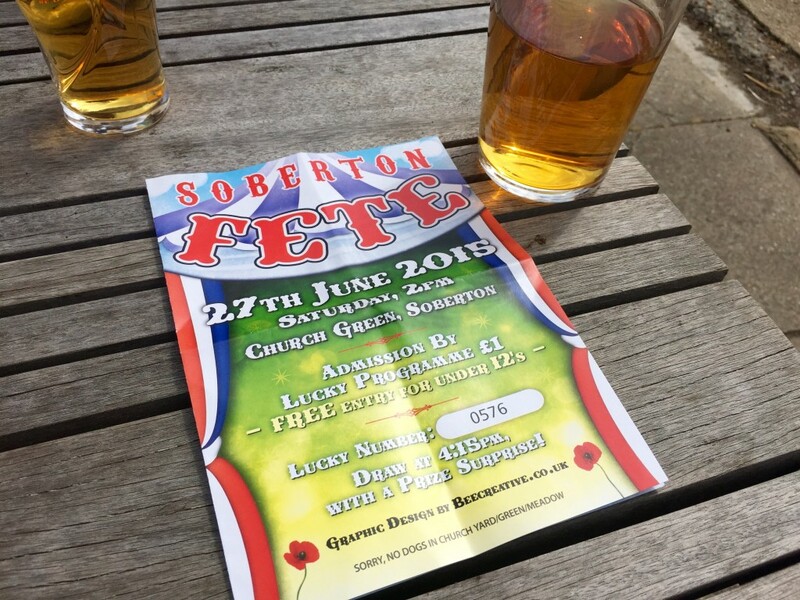 One of the best for my money (£1 entrance fee – under 12s go free) is the fete at Soberton – a village half a mile or so east of the River Meon between Wickham and Droxford, Hampshire. 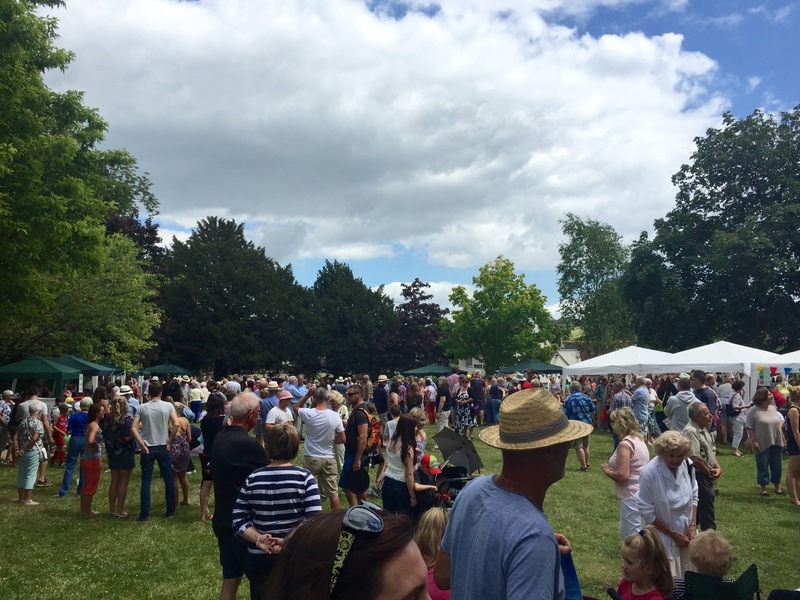 This year’s fete was on Saturday 27th June. The fete was centred on the village green, overlooked by the White Lion pub. 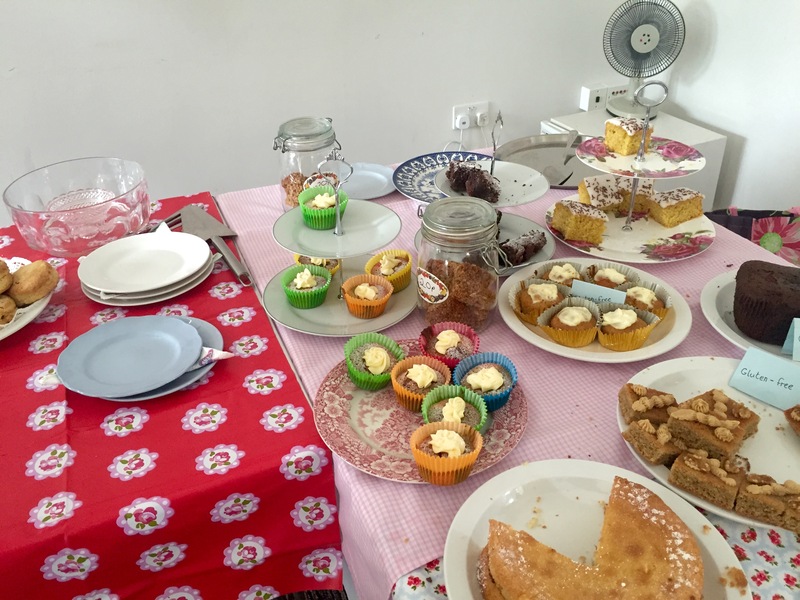 There were also teas and homemade cakes available at the next-door church. This year, the fete had spilled over into the meadow next to the church. Most of the stalls were spread liberally around the edge of the village green. These included some local retailers selling crafts and clothing as well as the traditional village fete attractions – a second-hand book sale, a coconut shy, the stocks, “beat the goalie”, face painting (no, I didn’t partake), “buzzy wire”, tombola, giant hoopla and much more. The meadow overlooking to Meon valley hosted the bouncy castle and a petting zoo and a few other things. 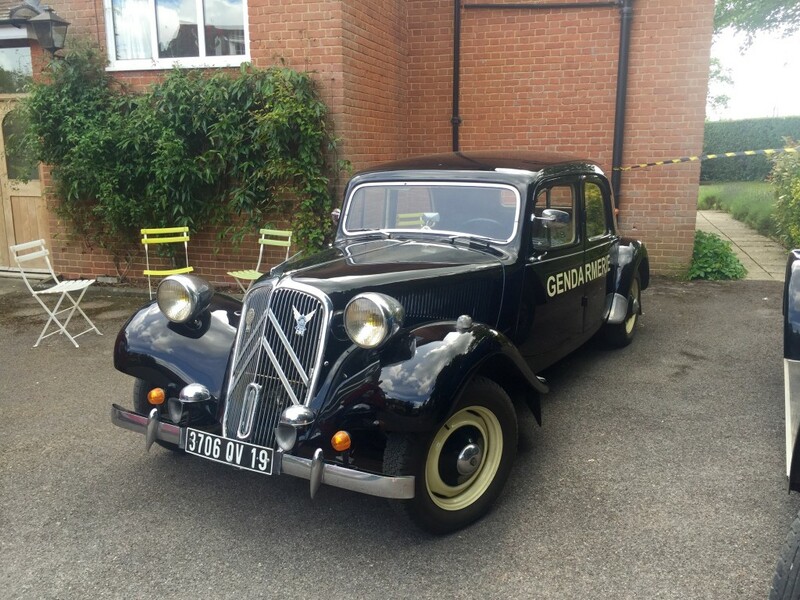 The large house next to the pub, which I assume is the former manor house, had some classic cars on show in the driveway. Warsash Band provided the soundtrack with their brass interpetations of modern classics and the “incomparable” (their words, not mine) Peter Berkeley fought the high-pitched feedback from the PA system admirably to keep everyone informed on what was happening. This year, we’d taken my mum, dad and grandad along. Dad, who has a bit of an addiction to charity shopping, soon disappeared to the bric-a-brac stall, while Mum, who has a bit of an addiction to shopping full-stop, made a beeline for the various stalls. Then, Tiff thrust a delicious-looking piece of homemade quiche from one of the food stalls in front of me – well I couldn’t say “no” could I? With mum and dad happy, and Tiff off in search for the water or wine stall, Grandad and I took the short walk to the pub to sample a local ale. As you’d expect on the village’s busiest day of the year, the pub was packed. 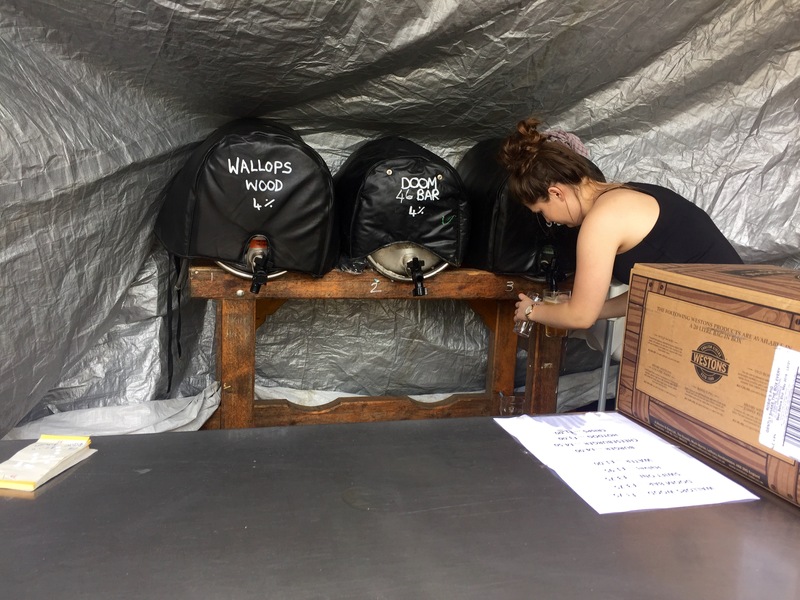 Not a problem – it had set up a small bar outside with three barrels of ale plus a box of cider. Grandad treated me to a pint of “Swift One” from the Bowman Ales brewery, which is just a couple of miles or so from Soberton. Bowman Ales were sponsoring the tug of war competition, and after we caught a glimpse of the semi finals of that, we popped up to the church meadow for hamburgers and hot dogs. This was the only disappointment thus far – I was expecting homemade beef burgers, local sausages and fresh-baked rolls. Alas, standard catering fare had to do. After that, I naturally wanted – no, needed – to satisfy my sweet tooth with “dessert”. So, we joined Mum and Dad at the makeshift tea rooms by the church for a hot drink and a cake. 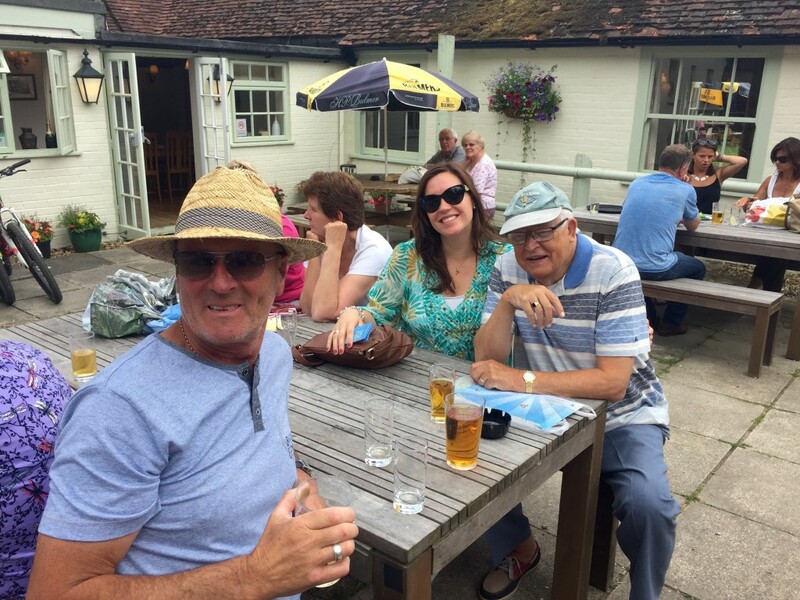 There, we sat among the gravestones and yew trees with our tea, scones and carrot cake listening to the Soberton Strummers – the village’s very own resident ukulele band. Typically, now that I was completely full, all remaining cakes were promptly reduced to 20p. All was that left to do was to check out the results of the draw – no we didn’t win – and make our way back down the lane to the makeshift car park in the field by the old railway line. Luckily, Dad had space for his bric-a-brac purchases – whether he’ll have space left at home is another matter. Info: Soberton is just off a A32 between Droxford and Wickham. The fete is usually on the last Saturday in June.